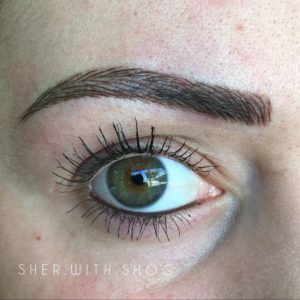 Best quality Microblading Eyebrows in Los Angeles, California. 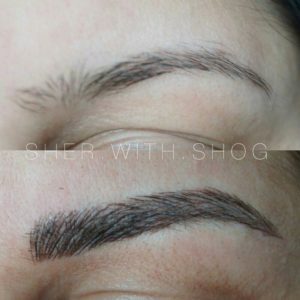 Microblading is another term for Permanent Makeup Eyebrows. Our Permanent Makeup Eyebrows Clinic in Glendale, Los Angeles, California, offers the best prices on quality microblading. Visit our Microblading Salon in Los Angeles, CA for quality service you wont regret. Rated for offering the best Permanent Makeup Services in Los Angeles. There are different styles of microblading, and ofcourse there are different qualities as well. At Mazi Salon quality matters, therefore we only provide the best 3D Microblading in Los Angeles. Rated “Best Microblading Eyebrows in Los Angeles.” Why settle for a permanent makeup clinic other than the best one in LA? When you get eyebrow microblading done, you’ll need touch ups, therefore it’s smart to start with the best salon. Other permanent makeup salons say they offer the best Microblading Los Angeles, on the other hand, many disagree. 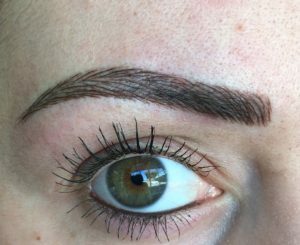 Accordingly, Mazi Salon clients who have tried other places for microblading eyebrows in Los Angeles, arguably say other permanent makeup clinics can’t compare. Our Microblading Salon in Los Angeles values all of our clients. Quality matter to us, therefore we only use the best eyebrow microblading tools & products available. We yield the best microblading in Los Angeles because its something we love to do. People who come to our salon for microblading stop going to other beauty salons. Try our salon, and as a result you wont go anywhere else for microblading near Los Angeles again. We offer a large variety of services at our beauty salon. Don’t settle for anything but the best microblading in California. Choose Mazi Salon for the best microblading eyebrows in Los Angeles CA now.